Today’s home owners are looking for trends that last. 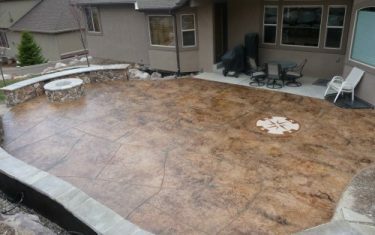 A decorative or stamped concrete pool deck fits the bill. 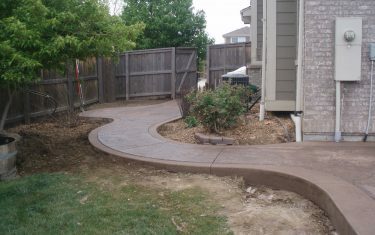 Concrete pool decks are one of the main visual focal points surrounding a pool. The pool deck serves as not only a functional deck to get in and out of the pool, but as a multipurpose area that can be used for playing, entertaining, sitting and lounging in the sun. Pool decks are often used more often than the swimming pool itself. While the temperatures drop and the pool becomes uncomfortably cold the pool deck itself is still a functional surface that can be used for any number of activities or additional hard-scape decking surface. 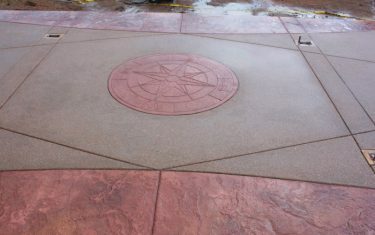 Pool decks are required to not only be visually appealing and decorative but must also be functional. As we all know pool decks are subject to water, puddling and pool chemicals. While the puddling water must be addressed with a slip resistant surface, the pool chemicals must not corrode or destroy the pool decking itself. 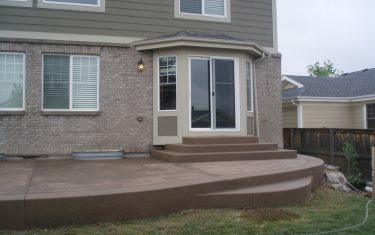 Concrete Pool decks can be designed to blend in and compliment any outdoor setting. It is often desired to match similar colors or the homes decor and create a seamless environment. 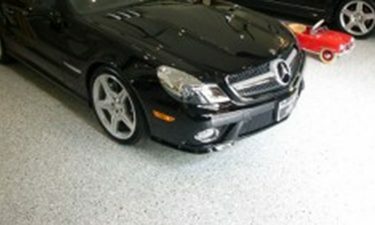 The beauty on concrete is that it can be tailored to match almost any setting. 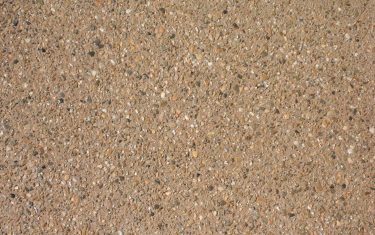 With a stamped concrete pool deck you can match and create a natural stone or rock appearance. You can also do something completely custom and original by blending any number of patterns and textures with completely custom colors. 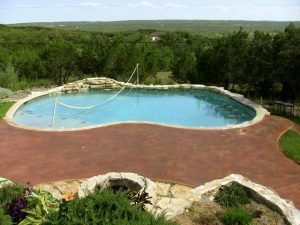 A simple concrete pool deck might consist of Stained Concrete with a slip resistant additive to avoid any falls. 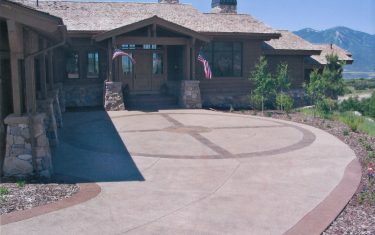 Even though pool decks act mostly like a patio, you must consider its unique function and requirements. 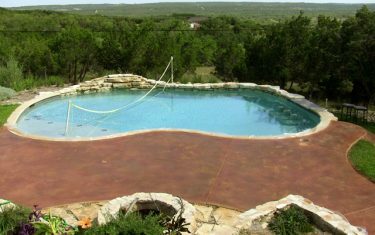 A pool deck is subject to direct sunlight, puddling water, potentially corrosive pool chemicals, and typical wear and tear. Choose your pool deck wisely and let Diehl Concrete help you make the right long lasting decision.